Cross Marketing Does not Mean that you are Angry! Of the 80 respondents, 4% responded “Yes”; 63% responded “no” and 33% responded “I never thought about it but it sounds interesting”. Aha! So for those 33%, here is a bit of a pep talk on the value of cross-marketing. The term simply implies that you or your agency, negotiate with a supplier for reciprocal benefits. You promote them; they promote you. And in order to start the process, all you need to do is look down the street in your neighbourhood and see who may be interested in increasing their exposure to consumers. If you have already said to yourself “Gee, I don’t know who would NOT want more consumers to know about them”, then you definitely have the right attitude. The Bookstore: you arrange for your clients to buy travel books there, perhaps at a discount. The bookstore, in turn, carries some of your promotions, or you tie it in to a theme eg, May is Let’s go to France month. Therefore a discount applies on all travel guide or travel literature relating to France. The bookstore carries your France flyers. And perhaps there is a special price you can offer (or a special upgrade or special perk eg flowers in the room on arrival or a bottle of wine) for those who come to your agency through the bookstore promotion (you can use a special code to identify new clients from the promotion). The luggage store: The same idea applies. You need to get creative and perhaps come up with a contest to drive your clients to the luggage store; and the luggage store clients to your store. The restaurant: There are ethnic food restaurants in many neighbourhoods. Whether you go for Chinese Food or Thai or Greek or French or Italian (or the 70 other ethic-type restaurants represented in Canada), tie it in with travel. Can you use the restaurant for a presentation and serve snacks? Can you offer a prize of a dinner for two? Would your Thailand–bound clients like to try out Thai food with perhaps a complimentary dessert? Think about arranging a short lesson on ‘how to order in a Thai restaurant” Again, the imagination knows no boundaries. The music store: World music is big business these days. 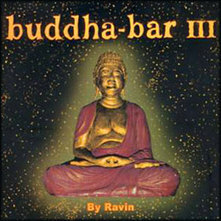 Just look at the following that the Bhudda Bar series has. So, how does this tie into travel? Again can you work out an arrangement whereby you can get your clients to experience the music of their country they are about to visit while the bookstore provides their clients with some of your literature? Can you have a contest? Win free CDs or enjoy an MP3 player to help pass the time on that long flight to _________? And it does not have to stop with the logical travel tie-in stores down the street from you. What about the bakery and pastry shop? The grocery store? The Picture framing store? The camera store (!) Even a clothing shop or a dry cleaner. Use your imagination to create a cross-marketing network. Everyone helps everyone. Talk to tour wholesalers and airlines to see if they want ‘in’ on the action? Write a press release and get more publicity from the local or neighbourhood newspaper.